Where Is the Air Filter on My Air Conditioning System? If you are reading this, it’s probably because you know that it’s important for the operation of your air conditioning system to change or clean its air filter once a month during the summer. Without this regular attention, the filter will become clogged and start to impair the AC, leading to higher bills and possibly repair needs. Posted in Air Conditioning | Comments Off on Where Is the Air Filter on My Air Conditioning System? Why Is No Cool Air Coming from My Air Conditioner? Perhaps the most common emergency service call that HVAC technicians receive during a summer is for an air conditioning system that is only blowing out room-temperature air. This is a malfunction that homeowners notice quickly, and it’s obviously something they will want fixed even quicker. Posted in Air Conditioning | Comments Off on Why Is No Cool Air Coming from My Air Conditioner? What are the Basic Stages of the Air Conditioning Cycle? Your air conditioner is one of the staples of your home, especially now with temperatures rising and summer hitting us with everything it’s got. We all depend on reliable air conditioning systems to keep our homes and businesses comfortable. 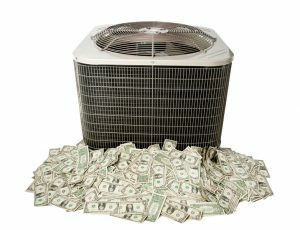 And when problems arise with your air conditioning in Montpelier, VT, there are qualified repair companies to help you. But how much of the process of air conditioning do you understand? What are the basic stages of the air conditioning cycle? The more you know about that, the more you can understand what happens when repairs are needed. Air conditioning systems are all based around the same basic system: a closed loop which cycles refrigerant gas through a series of valves and coils. The cycle begins when the gas enters a condenser coil, which subjects it to an enormous amount of heat and pressure. It then moves to a series of compression valves, which bleed the heat out of the gas, reverting it to liquid form. (The heat is then pushed out of the system via a vent, which is why this part of the cycle usually takes place in the outdoor portion of the unit.) It remains under a great deal of pressure, however, which plays a key role in the second half of the cycle. The liquid moves from the coils to a second valve, an expansion valve, which squirts a set amount of the liquid into a series of evaporator coils. (It functions rather like an aerosol can in this capacity.) Released from the pressure, the refrigerant turns back into a gas: pulling heat from the nearby air in the process. A fan then blows the cooled air through the ducts in your home. The refrigerant gas then returns to the condenser valve to start the cycle anew. For more on the basic stages of the air conditioning cycle, or to schedule an appointment for AC installations or repair, call upon the experts at Red Rock Mechanical. We treat any issue related to air conditioning in Montpelier, VT, and throughout the surrounding communities. Contact us today for a consultation session. You’ll be glad you did! Posted in Air Conditioning | Comments Off on What are the Basic Stages of the Air Conditioning Cycle?